I have decided to start a blog about all of the things God is doing in my life. I don't even know where to begin because so much has happened already that I want to write about. God has revealed Himself to me and I want the world to know. My hope is that everyone would have this new joy that I have with God. It's like I have crossed over to the other side and God opened my eyes and my ears. I receive revelations from God! Check out my story at the bottom of this page. God's will is that none would perish but all may have eternal life. God knows what's best for us and this is why He tells us not to live according to our own sinful nature- it will lead us to death. If nothing good lives in us, then the good that we do must be from God...because God is good and God is love. The next thing I'm going to ask God is: If we are all sinful by nature and the good in us is God, then how come there are good/moral people who aren't Christians? What's the point? Anyone have any insight? Since it's the most important thing I am put here on the Earth to do, I thought to myself - I should really know what it means to love God. I've been seeking Him and to know Him and His heart. To walk closely with Him and understand His ways asking Him to guide me. I still wondered what it really means to love God with all of my heart, soul, mind, and strength. AH! There it is! How do I love God? Obey His commands! I already desire to do that! This is such an answer to prayer. And I love how it says "And His commands are not burdensome." The more I walk with Him the less and less they are burdensome and the more and more I take such delight in what He teaches me! They are a delight! God wants us to live in victory and abundance of His joy. He's always looking out for our best interest. The penalty for sin is death. It's a law. Death basically means life with out God - Hell (hate to bring it up but it's the truth). In other words, because we are sinful creatures we are separated from God because God cannot be around sin - He is the opposite of sin. Christ came to save us from death so we may be with God. 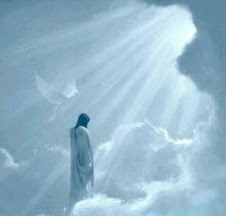 If you don't believe that Jesus came to die for you or instead of you then you don't get the benefits of eternal life. You have to die because your sin has separated you from God. God's recently been working on my heart and making me more and more aware of people who don't know Jesus. I would never want anyone to go to Hell. God is showing me that death means eternally separated from God - a place where there is no life, no hope, no God, torment, and fire. We have to tell people about Jesus - It's a matter of life and death. I am not sure why there has to be a Hell but I know it is real and I know that souls go there. This is what I hold on to. It's clear that God's will is that none would perish but all may have eternal life. Jesus is preparing a place for us in Heaven. I'm so thankful that Jesus has saved me. Tonight I did the normal routine of watering my flowers and moving the sprinkler when my neighbor started walking across the street to visit with me. He and his wife moved in about 2 months and I have never gone over to introduce myself (oops). He is 63 and retired from the oil business. With a HUGE wad of tobacco in his mouth we had a long conversation between the spits! He asked me if we had any buyers for our house yet. We proceeded to talk and throughout the conversation I was able to share what God has done in my life. I was excited about my purpose and asked him if he had ever wondered why we were here on earth and how exciting it is to know. I talked briefly about how God has called us to this school and how we are put on earth to glorify God. He was pointing out the catholic churches and the bad things that they had done I was able to tell him about how much good I see in church but how I can see how looking from the outside in that would look so hypocritical. Those bad things you hear on the news are a very small percentage of people who claim they are Christians and also the truth is we are all sinners and Christians aren't any different from anyone else. He told me his wife was sad she left all of her friends to move here and how they no longer have any friends. I suggested that they find a church because you can find tons of friends there. I warned him to go there with a mindset of being extra merciful and loving instead of with a critical eye because if you look for sin and mistakes you will find them. Also, serving others would help his wife because it actually gives your heart joy and gladness in your heart to know that you have helped someone else. This was all such new information to him! He didn't want to give any of his darn 10% to no rich church that takes advantage of you. I didn't get a chance to say this but I want to suggest to him next time that maybe he should tithe on his own to people who really need it in order to ensure it's getting the most use. He believed in God and he believed me that the Lord has called us to this school and even said, "that's good, that's good, I'm proud of you." But he didn't feel the need to go to church were they can just take advantage of you. I was able to explain that while yes, it isn't about "going to church" that it does please God when we meet together to love one another, share with each other, and strengthen one another in our faith. He agreed with me that it is about your own relationship with God, seeking Him, and not the act of "going to church". There was even more that was shared but these were the main points. I could tell this man was so controlled by his past and the poor life he lived as a child only reaching an education of the 8th grade which he informed me of at least 6 times and how hard he worked for 29 1/2 years. These were things he was very proud of but also things that made him sad and resentful. He said he thought I had a good "perspective" on things and he thought I should meet his wife. I have been praying for courage and boldness to share my faith but when opportunities have arise in the past I haven't seized them and they are gone in an instant. This has encouraged me so much. I am thrilled to the bottom of my toes that God is doing this work in me. On my own strength, I can do nothing. It's Christ in me speaking. The Christ that is in my heart, the Holy Spirit. God gave me such abundance and love for speaking to this man. I am overwhelmed with love and confirmation from God - He has answered my prayers.......again! I read this verse and was unsure of what was it really meant. Guard your heart? I thought we are supposed to love and open ourselves, tear down walls, love our enemies, and bless those who persecute us. So how do we do all of these things and guard our hearts? Our hearts are right out there in the open! Well, I feel the Lord answered my prayer and revealed to me what He meant. When I say "revealed to me" I usually mean the scriptures came alive to me even though I had read them before - not that the Lord is showing me something that nobody else knows about. He just helps me "get it". How do I guard my heart? With the peace of God! How do I get the peace of God? Prayer, petition and thanksgiving! If I am anxious instead of presenting my requests to God I do not have peace and instead I have frustration, bitterness, anxiety, stress, and a worrisome heart. God asks us to guard ourselves against those things. Protect our heart from negative things that keep us from our focus on Him. It goes back to magnifying ("fixing our gaze on"- below) God and not magnifying our problems. Guard our hearts from sin! Then I went back to the verse again it confirmed what I understood to be true. He wants us to enjoy abundant life and victory - and the heart is the wellspring of life. Doesn't that make you want to stop what you are doing? I thank God that He has so much patience with me and He pours His mercy over me. I would have given up on me a long time ago! But He loves me so much He bought me back with Jesus when my sin separated me from Him. It also talked a lot about how the Israelites worshiped idols of wood, stone, etc. He consistently made the metaphor that they were his Bride and by doing this it is as if they prostituted themselves over and over every time they worshiped something other than Him. Putting something above our relationship with God is a HUGE offense to Him. If you're brave, I would encourage whoever reads this to read Ezekiel 16. It's a descriptive chapter on how the Israelites were so detestable to the Lord. God desires a relationship with me and it is my responsibility to be with Him everyday. I can't afford not to and when I do I can tell a big difference in my connection with Him. When I am obedient I feel Him speaking to me and revealing Himself in everything. Let us help one another. So in order for my meditation to be pleasing to God - I first need to meditate on Him and His word! There's an idea! Even when I am spending a lot of time with the Lord I have to ask myself, "am I really rejoicing in the Lord? What does that mean?". So then I looked up the word rejoice. I need to meditate more on God's word, dying to myself and living for Him. The scriptures below are what I found to be the attitude I should have. It's like an obstacle course - my desire is to not be lacking in anything and that is also God's desire for me. We are pressing on toward knowing the Lord better and better. There is also a connection between the word "mature" in both passages. This is such encouragement to me to seek God, to know Him, to be with Him, to pray, and plant the word in my heart. I must overcome the obstacles before me with an attitude of rejoicing and the mindset that I hope to pass the test before me. I must change the way I look at "trials of many kinds" they are mere challenges that refine me into a mature and complete Christian and bring me closer and closer to the Lord. It's like I need to take my self out for a moment and take on a bird's eye view - this world is not my home. Is my minor trial significant when I think of eternal life with Him? so small. In a nutshell I believe God is showing me to have joyful attitude in everything. I think it's during those times where our stars shine the brightest! I have started a blog! God has blessed me abundantly deep with in my soul and has out poured His Holy Spirit on me in a way I have never experienced! I am so excited about how I see Him daily working in my life in showing me things, speaking in my ear, and revealing scripture to me! It's hard to explain my new found closeness with God but my blog is a small attempt to get some of it out. It all started over a month ago (Feb 10) when my friend Dee (from church) came to me because I kept coming up in her prayers. I was struggling deeply with a concern about a life changing move to Colorado Springs to go to a worship leader's school. Jeremy was sure we should go and really wanted to but I didn't feel led to go there and was seeking God's wisdom on what we should do. (that's the short version) Well Dee prayed for me and we listened to God. I had never done this before (listened). God told me "Don't worry about what other people think. You are my child, I made you special. I have sent Dee to tell you what you should do about the school" then Dee said, "He's saying this school is as much for you as it is for Jeremy". Then I started bawling. :) Dee was only a church "acquaintance" when I prayed with her that day but now we are close spiritual friends and I'm so thankful God sent her to me. From that point on I knew that God was sending both of us to this school in Colorado to be worship leaders and that I should participate in the school as well. He not only answered my prayer I was struggling with but He taught me through Dee how to listen to Him and what He is telling me. I practice it daily now and it's mind blowing. We visited the school/church March 6-9th and God confirmed again in my heart that I need to go to the school. The school starts at the end of August early Sept and is 10 months long. I feel God is going to use me to do His work and I have a strong purpose for my life!